Tribal canoes arriving on San Juan Island. San Juan Island lays on the crossroads of three major marine waterways. It used to be heavily wooded, had lavish prairies and abundant food sources on land and in the Salish Sea. “Abundant”, as in the ocean being so thick with salmon, that they looked like stacked cord wood. 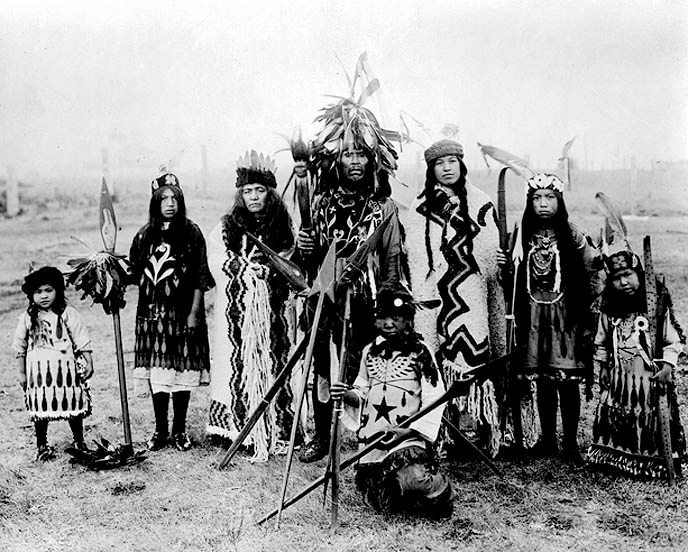 Not much detail is known about Native American life before the colonialization period. Coast Salish People inhabited the area for more than 11,000 years after the continental ice sheet receded. They were hunters and gatherers, who used dugout cedar canoes for transportation. Wild salmon was the primary food source of their culture. In more recent history Lummi Indians were the first inhabitants of the isle. They lived a live called “seasonal round” by archeologists, moving their villages following the natural cycles of salmon, clams, berries and camas. Artifacts left behind suggest that they wintered on the calm, protected shores of what is English Camp today and summered near the legendary salmon bank, a submerged ridge formed by moraines when the ice sheet receded, off South Beach. European diseases like small pox reduced the numbers of Natives dramatically starting with the Spanish Voyage in 1774. Small Pox Bay received its name from Native Americans trying to quell the high fever associated with the disease by jumping into the bay. Traces of native villages, like fire pits, pottery shards and arrow heads, can be found around American Camp and English Camp and the San Juan County Park. Every time the canoes land somewhere along their journey, the paddlers ask permission to come ashore in their native language. 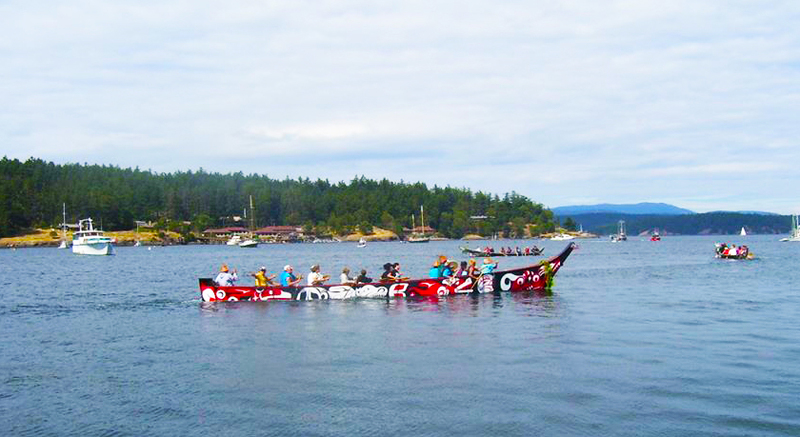 The canoes stop on San Juan Island in late July where Native Americans, islanders and visitors commemorate the cultural ties to the island with songs, blessings, dances, gifting and a traditional community dinner, open and free to all. Insider Tip: Go on a kayak tour to experience the way Native Americans travelled in harmony with land and sea.